Described as “the epitome of confidence and finesse” (Gramophone Magazine) and “a miracle of unified thought” (La Presse, Montreal), the Calidore String Quartet has established an international reputation for its informed, polished, and passionate performances. Currently artists-in-residence and visiting faculty at Stony Brook University (SUNY), the ensemble was appointed to the prestigious roster of the Chamber Music Society of Lincoln Center Two for the 2016–19 seasons. In recognition of its international acclaim, the quartet won the 2016 Borletti-Buitoni Trust Fellowship, becoming the first North American ensemble to win the prestigious award. 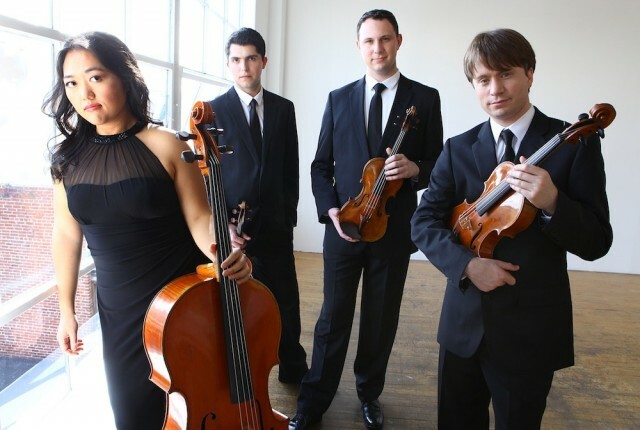 The Calidore String Quartet won grand prizes in virtually all the major U.S. chamber music competitions, including the Fischoff, Coleman, Chesapeake, and Yellow Springs competitions, and captured top prizes at the 2012 ARD Munich International String Quartet Competition and Hamburg International Chamber Music Competition.